Upozornění: Prosím přihlašte se, chcete-li používat celou řadu funkcí. Nemáte účet? Zaregistrujte se zde. Co je zápisník a jak funguje? Prosím, zadejte svou e-mailovou adresu vyžádejte si nové heslo. Jako diamant pro Vaši koupelnu. Závan moderny pro Vaši koupelnu. S ergonomickou pákou ve tvaru smyčky. Precizní a na míru šitý vzhled Vaší koupelny. Ideální volba pro moderní koupelnu. Unikátní design pro moderní koupelnu. Moderní favorit pro Vaši koupelnu. Elegantní řešení koupelen s jedním zdrojem vody. Moderní design a unikátní technologie. Nejlepší Grohtherm 2000 jaký jsme kdy vyrobili. Technologie a design za příznivou cenu. Řešení pro instalaci pod omítku. Čistící prostředek vodovodních baterií a koupelen. Co přesně je „sprchová toaleta“? Proč je toaleta GROHE Sensia® Arena v každém ohledu nejlepší volbou? Umělecký rozměr v oblasti WC splachování. Ostrý profil a široký výběr vodovodních baterií. Jedinečný design nabízen moderní koupelně. Znamenitá kvalita a vrcholný design. Komfort a vynikající ergonomie v 7 ° úhlu páky. Navrženo za účelem posílení čistoty moderní architektury. Vaše konečná volba v otázce bezpečnosti a pohodlí. Soudobý design s vysokou funkčností. Sjednocení podstatných prvků skvělé sprchy. Přírodní chuť čisté vody přímo z kohoutku. The sophisticated design of GROHE products appeals to design lovers all over the world and also attracts renowned awards on a regular basis. Having amassed some 230 design awards in past years, the manufacturer has added numerous new accolades to its name this year. 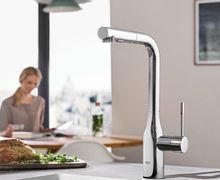 Prizes such as the Red Dot Design Award or the Iconic Awards: Interior Innovation once again highlight the unerring focus on good design which remains one of the most important values underpinning the GROHE brand. This philosophy is instrumental in creating unique products which bring a distinct sense of style to all bathroom and kitchen decors. 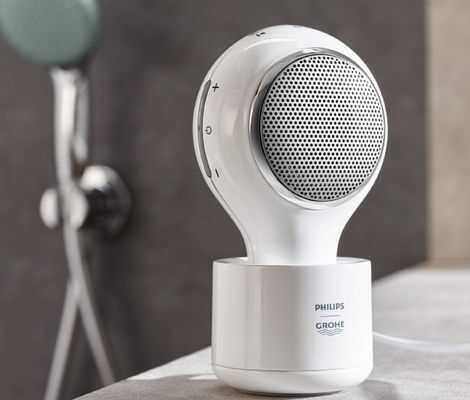 This year’s line-up of Red Dot Design Award winners includes two GROHE products contributing to a special shower experience, namely the water-proof Bluetooth Aquatunes speaker and the Grohterm 800 thermostat. 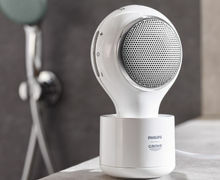 Sporting a stylish design, the wireless Aquatunes speaker lets users enjoy their favourite tunes under the shower. 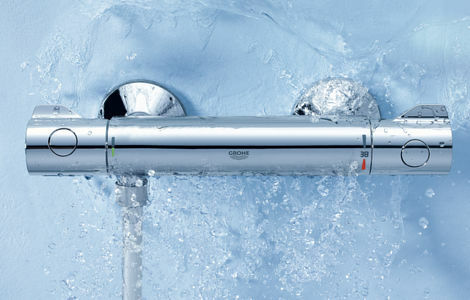 At the same time, the pared down and ergonomic design of the Grohterm 800 is all about ensuring the highest levels of comfort, convenience and safety while showering. Both products impressed the approximately 40-strong panel of judges on such counts as the degree of innovation, formal quality and ecological compatibility. Organised by the Design Zentrum Nordrhein-Westfalen since 1954, the Red Dot Award is one of the world’s most respected prizes in this field, which is not least a reflection of the high calibre of judges attaching their names to the adjudications. The coveted Red Dot will be awarded only to products which stand out through their excellent design. 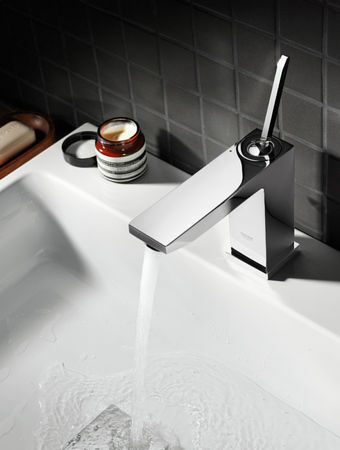 Another double success came for GROHE at the iF Product Design Award. 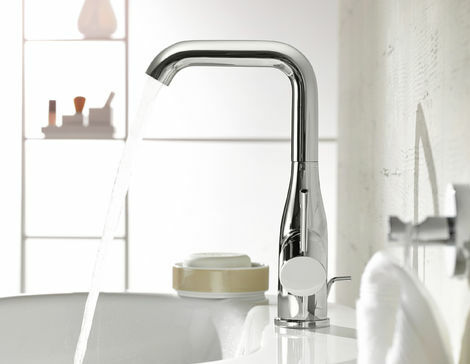 The slimmer reinterpretation of the popular classic Essence faucet line garnered the acknowledged iF label. 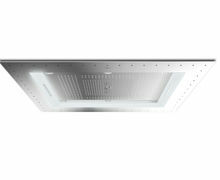 It shared this distinction with the GROHE Rainshower® F-Series 40" AQUASYMPHONY, a ceiling shower which blends water with light to create a truly luxurious shower experience. The iF label has been awarded annually since 1954 and is recognised and respected by design lovers all over the world. The judges awarding this renowned prize are drawn from the ranks of international top designers. 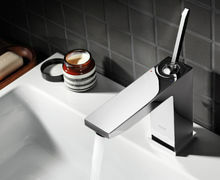 No fewer than three new GROHE products are among the winners of the Iconic Awards: Interior Innovation. 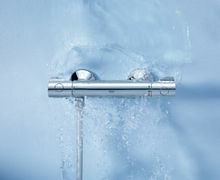 One member of the victorious trio was Eurocube Joy, a line of cubistic designed faucets accentuated by an innovative, smooth-handling joystick lever. The Essence faucets and the Aquatunes shower speaker were singled out by the judges of this award, too. The Iconic Awards: Interior Innovation are awarded annually by a high-calibre panel of judges. Initiated by imm cologne and organised by the German Design Council, this prize has emerged as a widely accepted mark of distinction in the interior design sector. 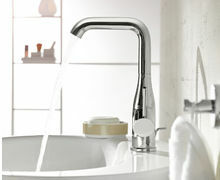 Only recently two kitchen faucets from GROHE attracted praise from judges as well. Essence and Minta Touch each won a Green Good Design award. This prize rates products not only in terms of their design and style but also based on their contribution to energy efficiency, environmental friendliness and resource conservation. The two GROHE products impressed the judges with their strong sustainability profiles extending along their entire life-cycle from development and production to day-to-day use and post-consumer management. Organised by The Chicago Athenaeum: Museum of Architecture and Design and the European Centre for Architecture Art Design and Urban Studies since 2010, the Green Good Design Award has brought public appreciation and awareness to design philosophies promoting sustainability and ecological restoration. 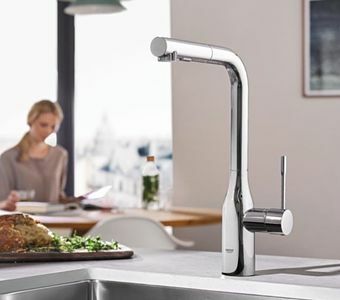 Committed to excellence in bathroom and kitchen design, GROHE continues to create inspiring products which are appreciated by consumers and design experts alike.